HMRC has updated its guidelines to now allow owners of vineyards and cider apple orchards in the UK to pass on land without inheritance tax. As reported by The Times, HMRC has updated its definition of what constitutes agricultural use of land in relation to inheritance tax. The definition now includes the production of fruit used to make wine and cider, meaning that vineyards and orchards now qualify for agricultural property relief. As a result, the value of the land will be up to 100% tax-free when left as part of an estate, according to the paper. This follows news revealing that the area under vine in Great Britain has increased by 160% in the past 10 years to reach 7,000 acres (2,888ha), according to trade organisation WineGB. In recent years there has been an ambitious vine planting programme in England and Wales with 1.6 million vines were planted last year, with a further 2 million expected in 2019. With this increase in production and cultivation, there is a concern as to how the wine will get produced. 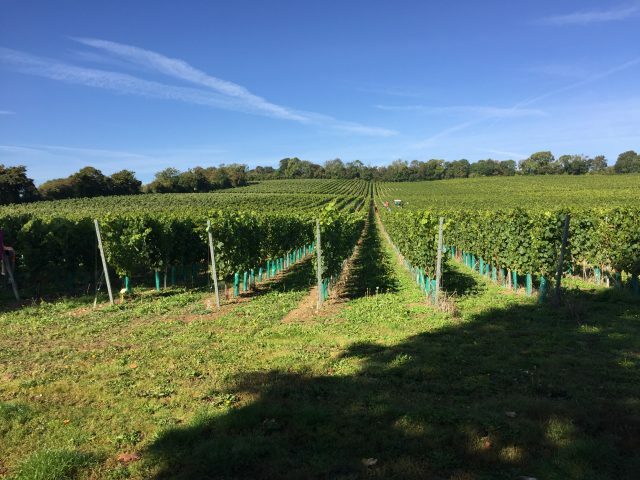 Speaking to the Times, Simon Robinson, owner of Hampshire’s Hattingley Valley winery and chairman of WineGB, revealed that he’d seen good vine land trading for up to £20,000 an acre, meaning that it can achieve 50-75% more than other types of agricultural land. “The issue is where are all those grapes going to go,” he added. Speaking to the drinks business last year, co-owner of Simpsons Wine Estate, Ruth Simpson, also highlighted the same issue. With no connection to Kent, Ruth and her husband Charles saw land advertised specifically for its vine growing potential in the county. Indeed their agents, Strutt & Parker, were the first in the UK to market a substantial parcel of land purely on its grape growing ability. Having been assessed by viticultural consultant Stephen Skelton MW at the time, Strutt & Parker offered four parcels of 35 acres, 22 acres, 52 acres and 7.5 acres, the first three lots for sale at £10,000 per acre, and the fourth for £20,000 per acre. With more vineyards being planted however, Simpson highlighted the lack of winemaking facilities. “The problem with England is that there’s a lot of vineyards but relatively few wineries,” she said, adding that at least three people had been in touch to ask if Simpson could do contract winemaking in 2018. “The big issue this year  is where the grapes are going to go. Even a 10 to 20% increase would be an issue, but this year it’s well over 100%,” she said.